"They say they're the BEST, better than the rest." Thank you McHenry County for voting us one of the best award winning flooring stores! Welcome to Kenny’s Floor Covering's web site. View product samples online and get educated about all your choices. Remember that Kenny’s will bring samples to your home for your convenience. 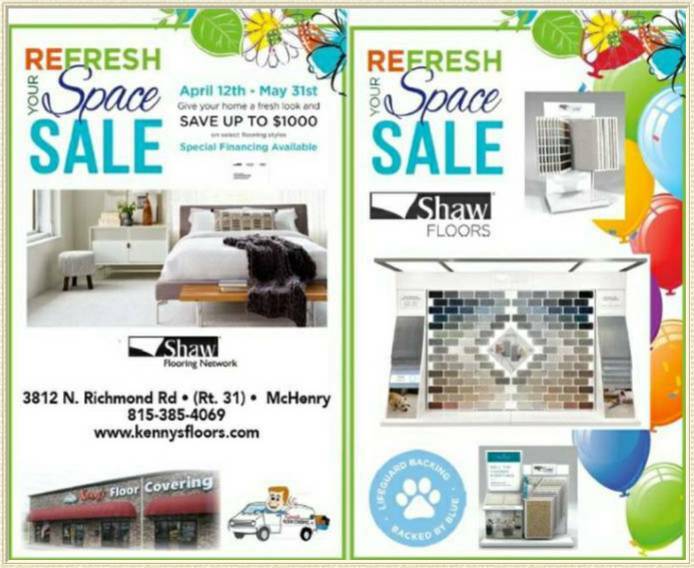 Kenny's Floor Covering is a family owned and operated business that strives for excellence in customer service. Kenny's is known for their expert installation, quality products and Kenny’s Personal & unconditional 100% Guarantee. Choosing a new floor for your home can become confusing. 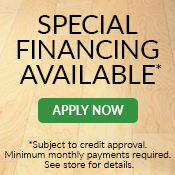 At Kenny’s their professional staff of flooring experts will help you in making your flooring decision. Feel at home when you walk into Kenny’s showroom and take your time in making a selection that best fits your floor covering needs. Kenny's Floor Covering is also a proud member of the McHenry Area Chamber of Commerce. For store address, directions & phone number click on this sentence or on the "Contact Information" tab located at the top of this page. Below you will find just some of the brands Kenny's sells. Click on any of the logos below for more information a new page will open on there website. You can stop the scroll bar by putting your cursor in the center or speed it up by putting it on the right side reverse it by putting your curser on the left side.